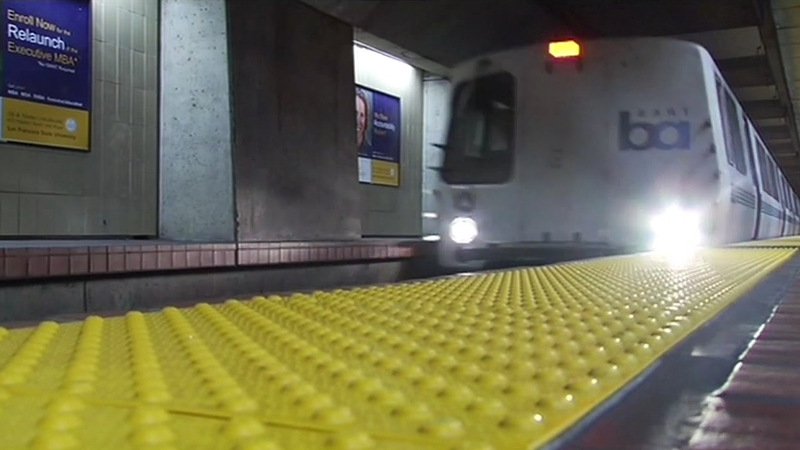 SAN FRANCISCO -- BART is recovering from a major delay that was caused by a person on the tracks at Civic Center Station in San Francisco on Saturday. The incident has since been resolved and trains are returning to their regular schedules with some residual delays, according to BART spokeswoman Alicia Trost. The incident began around 1:30 p.m. after a train operator reported a person on the tracks at the station, BART spokeswoman Alicia Trost said. The male suspect was allegedly hiding inside an alcove within the tunnel, according to Trost. Police and paramedics attempted to get the person to come out from the tracks. The suspect however refused, Trost said. While no trains were reported to have struck the suspect, he complained of a broken leg. Paramedics were eventually able to get the man to come out from the tracks and he was taken to a hospital to treat the injuries he was claiming to have, according to Trost. It was not immediately clear if the suspect was arrested. The incident had caused a system wide delay in the San Francisco International Airport, Millbrae, Daly City and East Bay directions, BART officials said.